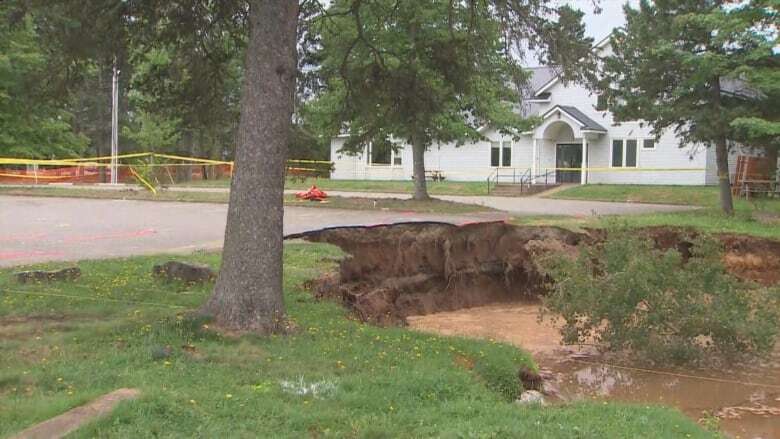 Sinkhole creating 'devastating loss' in Oxford, N.S. 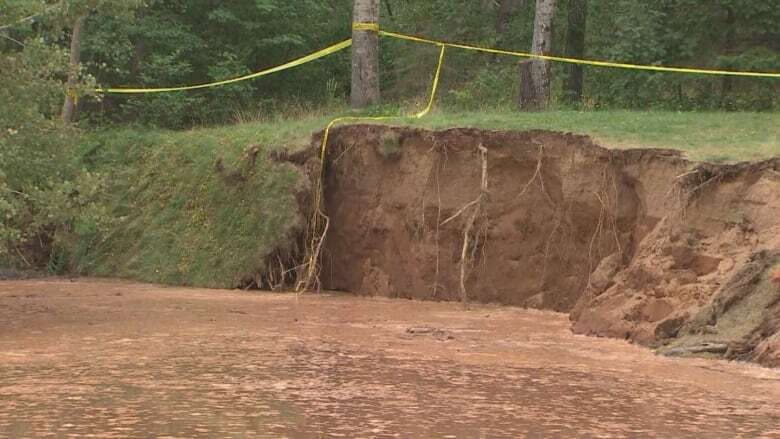 An unpredictable sinkhole in a Nova Scotia park that has already swallowed up large trees and some picnic tables is now at least 38 metres in diameter. The crater began as a small indentation in Oxford and suddenly opened up Aug. 20 when the ground under it collapsed. It grew another three metres overnight Wednesday. 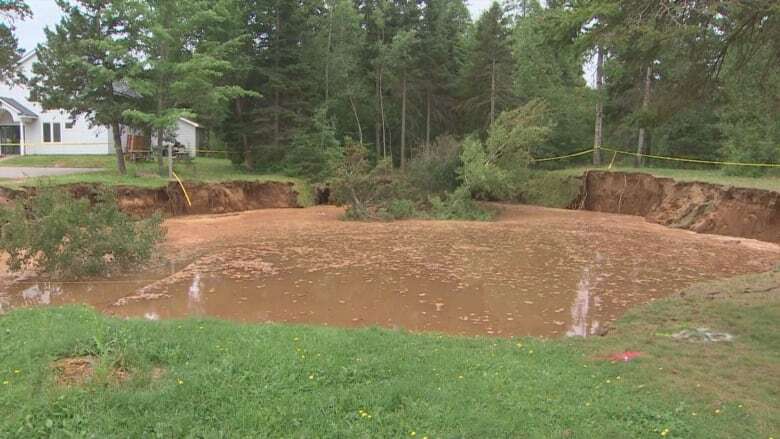 'It just collapsed': large sinkhole appears in wooded area in Oxford, N.S. 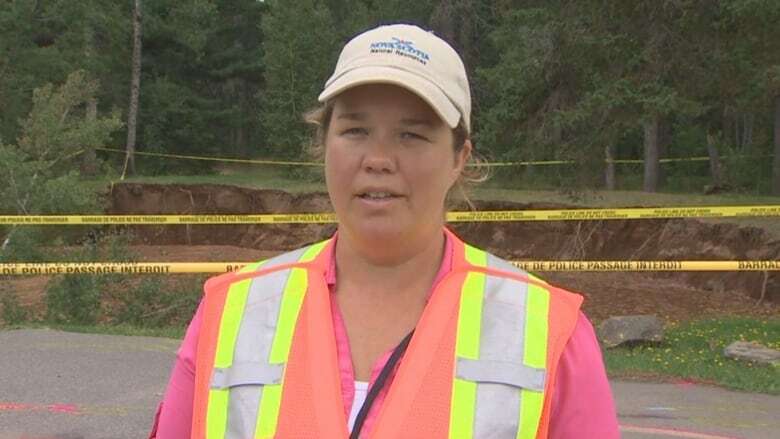 Amy Tizzard, a geologist with the Nova Scotia Department of Energy and Mines, said it's too early to tell how big the sinkhole will get. The department is trying to sort out what's going on underground by looking through the top soil for caverns below using radar and other geophysical tests, she said. What they do know is that gypsum — a very soft rock — underlies the area. Over a long period of time, the rock can dissolve in groundwater or surface water, said Tizzard. 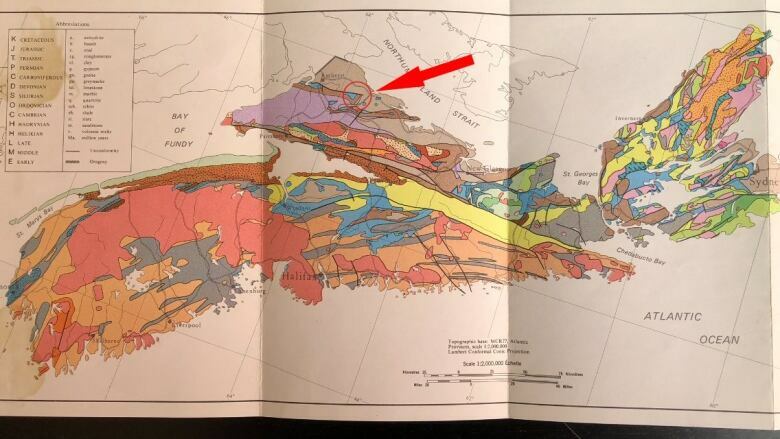 "So it's actually created a cave under this area which has collapsed to the surface and formed a sinkhole." The sinkhole is located near the treeline at the edge of a large parking lot belonging to the Lions Club. The pavement is cracking and the department has been keeping a close eye on the situation. Tizzard said the cracks have slowed down in their development. However, she said a large spruce tree is on the verge of going in the hole and it is hard to tell what might happen next. "Sinkholes are unpredictable in their nature so we can't rule anything out at this point." 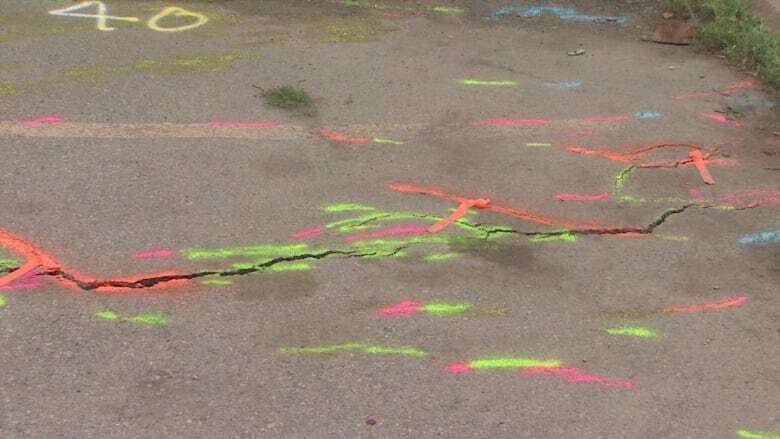 A large playground at the Oxford Lions Park was removed and put in storage Sunday afternoon after emergency management officials noticed cracks forming near the equipment, according to Mayor Trish Stewart. Tizzard said it's too early to guess if any local businesses are at risk, but she is very concerned for the prospect of what could happen to the road, nearby gas station and local businesses if the sinkhole continues to grow. 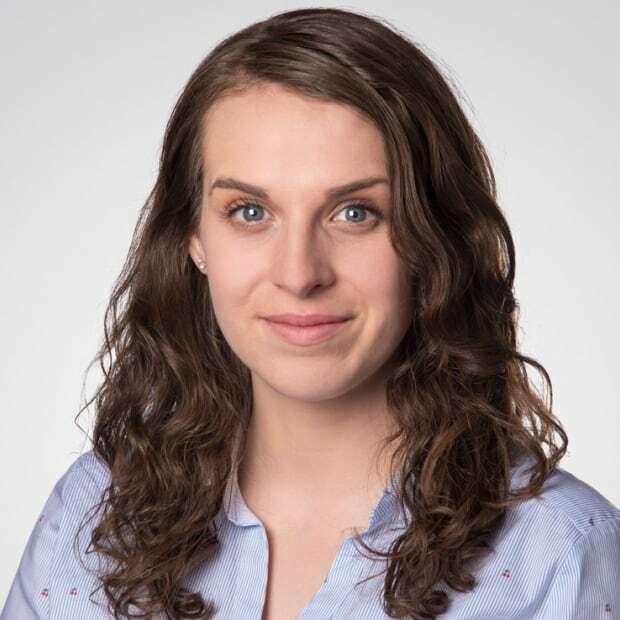 "Those are major businesses for the town of Oxford, and we wouldn't want to see anything affected outside of the Lions Park, which is a devastating loss to the community." At this point, the children's playground and community centre are off limits.